Frank Grzeszczak at International Yacht Collection alerts me to a further $5 million price reduction on his central listing, the 58.22m motor yacht Carpe Diem. Delivered by Trinity Yachts in 2011, she features a striking interior designed by Carol Williamson and can accommodate 12 guests in a full-beam master suite on the main deck, plus four double staterooms and a convertible gym below. Twin Caterpillar 3516B engines give Carpe Diem speeds of up to 21 knots, and she’s ABS classed and MCA compliant. 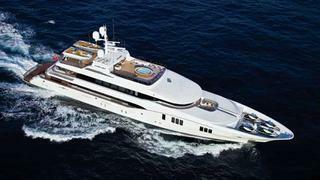 Available to view at the Monaco Yacht Show, Carpe Diem is down from $59.9 million to $54.9 million.